Warrior is getting ready to unleash the new and improved Franchise glove to world. The Franchise glove has always had a strong following since its MIA birth, but this year they have taken it one step further. The new Franchise gloves has some great new features that have me seriously considering hanging up last years for the new model. Starting on the exterior Warrior has used a combination of materials rather than just the carbon print PU. The Franchise now features a fair amount of the TufTex nylon material. This is a great material, exceptionally durable, lightweight, and does not hold water, so you don’t need to worry about it gaining weight during the game. Warrior Franchise also has some high-grade synthetic leather and some of the carbon print synthetics down the middle of the glove. 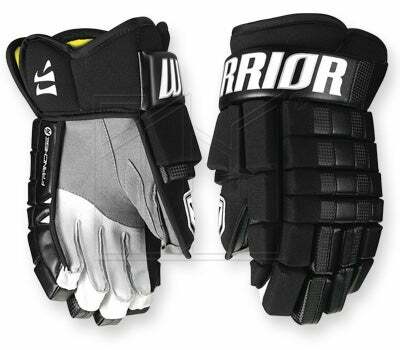 Warrior mentioned that many of their NHL players were requesting more wrist mobility out of their personal versions of the Franchise gloves. So they decided to give the retail glove a flared-out cuff for increased wrist mobility. This is most noticeable on the inner wrist side, and makes a huge impact. It definitely offers more wrist mobility compared to last years Franchise. Warrior also decide to increase the cuff roll a little bit making it look like it has a shorter cuff, however, the cuff is not actually smaller it just looks and feels like it. You get the same protection but now with increased wrist mobility. Personally, I think an entire TufTek exterior would be unbelievably sweet, so Warrior does make this glove completely customizable. So for those that are willing to make the additional investment, IW can set you up with a customized Franchise, from exterior, protection, colors, numbers, and so forth. 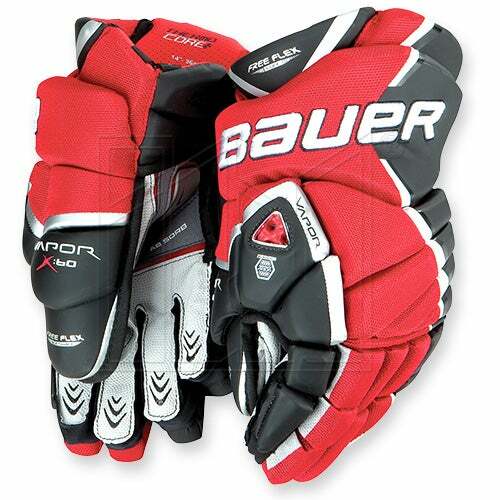 This entry was posted in Protective Gear Reviews and tagged best hockey gloves, Franchise 2010, hockey glove review, Ice Hockey gloves, new Franchise glove, New Warrior glove, Warrior Franchise, Warrior Franchise glove review on January 14, 2010 by Tyson.